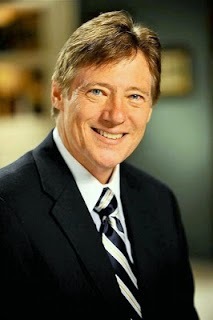 Jerry Newcombe is Senior Producer and co-host of Truth in Action Ministries, formerly Coral Ridge Ministries. That’s the late D. James Kennedy’s group, and Newcombe is in most ways a natural heir of Kennedy’s (he has a more prominent media profile than Executive Vice President Frank Johnson or even Kennedy’s own daughter, the remorselessly fanatic Jennifer Kennedy Cassidy). Newcombe does, for instance, possess the intellectual abilities and zealotry of his unlamented mentor. Newcombe was the producer of Kennedy’s “documentary” Darwin’s Deadly Legacy, which asserted that Adolf Hitler grounded his genocidal actions on Charles Darwin's theory of evolution even though Hitler demonstrably rejected evolution and there is no non-crazy way of connecting the Theory of evolution to social Darwinism. The blurb stated that “the program features 14 scholars, scientists and authors who outline the grim consequences of Darwin's theory of evolution and show how his theory fueled Hitler's ovens.” According to CRM spokesman John Aman “Darwinism is a philosophy, it’s a worldview, and one of the key things in it is that evolution advances by death, so death is a good thing. Hitler thought he was doing civilization a favor by eliminating lives that were not worth living. We, of course, think that is an egregious moral tragedy and a consequence of the worldview that was initiated by Darwin and popularized by his followers.” The 14 “scholars” featured in the film include Ann Coulter, Ken Ham and Lee Strobel, and a certain shortage of people with actual expertise in any remotely related field, except for Francis Collins, whose contributions were cherry-picked and mangled beyond recognition. Newcombe’s utterly delusional response to being (mildly) taken to task for the screed is discussed here. In the response he discusses for instance the significance of the battle to contemporary issues “Right now we’re in a fight, in a battle over the judiciary. Even in the Supreme Court itself, you have a conflict between those who believe and accept unguided evolution versus those who believe in God,” which is one of the most bizarre statements ever made but part of Newcombe’s perception of liberals making a concentrated effort to “unmoor” America from its Christian roots, as described e.g. in his book The Book that Made America: How the Bible Formed Our Nation (recommended by Ann Coulter). But does he have any evidence against evolution, apart from the fact that he doesn’t like what he perceives to be the consequences of adopting the theory? Well, no. He does quotethe book of Genesis, lies about a quote by Colin Patterson, and refers to the Piltdown Man, incomprehensibly (but predictably) taking it as evidence against evolution. Also, logging into a computer and entering a password makes it clear to Newcombe "how impossible evolution is". So, no. Not that he cares. Part of the battle Newcombe is referring to, and over which he conjectures the religious affiliations of the Supreme Court judges (since if they don’t support Newcombe’s positions, they must be anti-Christian social Darwinists), is the matter of prayer in public schools, an issue about which Newcombe brilliantly uses lies and made-up pseudohistory (as e.g. described in the book George Washington’s Sacred Fire, coauthored with Peter Lillback and “promoted by Glenn Beck”) to argue that the absence of mandatory prayers in public schools = Nazi Germany. For that’s just the kind of person Newcombe is. He also blithely asserted that mandatory school prayers would have prevented the 2012 Ohio school shootings, because that’s the way things hang together in Newcombe’s deranged mind (when describing the case he actually comes close to identifying the motivation: bullying. But no, it’s the absence of Jesus). Since Jesus is the only road to the good, everyone who isn’t good are automatically anti-Jesus, so the school shootings are caused by the absence of Jesus – by definition, not evidence. In fact, in relation to the Aurora shootings, Newcombe expanded upon his position: School shootings are caused by the fact that Americans don’t fear hell or God anymore, so liberal churches, the media, and the ACLU are to blame as well. Or in other words, according to Newcombe the road to good isn’t Jesus, but terror. But how nice! To really underline the humanity of his ideology, Newcombe emphasized in particular that the victims who weren’t Christian enough for Newcombe are currently burning in Hell. Maybe Newcombe has a more reasonable view on equality issues? Well, as a matter of fact, Truth in Action ministries has linked the Day of Silence to … Adolf Hitler. Are we perceiving a pattern here? Indeed, they also compared the Day of Silence to the iceberg that sunk Titanic, a metaphor it is somewhat hard to make actual sense of (it is still the major premise of his argument for criminalizing homosexuality and warnings against “sexual paganization”). When the issue of gay members in the Boy Scouts were under discussion in 2013, Newcombe showed barely more originality and claimed that if the Boy Scouts were “succumb to the tentacles of political correctness” and end the national ban on gay membership then they will join society’s “mad dash toward Gomorrah”. In Newcombe’s mind homosexuality and child molestation are also closely connected, since – as he says – “three out of four gays were molested as children” (making sure that he is not outlooned by Jeff Myers and Ryan Dobson’s equally made-up 60% figure). Evidence? Why, Newcombe has conviction, which apparently allows him pull whatever numbers he can out of thin air (no, the numbers do not bear the faintest semblance to reality). Truth in Action Ministries considers Glee, however, to be an evil alongside 9/11 and … yes, you guessed it, Hitler. (The 2014 Grammys were hardly better). Interestingly, Newcombe has himself defended genocide, when the victims are sinners in the eyes of God. In the documentary Truth that Transforms, Newcombe targets the IRS rules that tie tax exemption status for religious organizations to absence of political involvement. No, he doesn’t provide the reasons for the claim. Instead, he argues that the rules are exactly like – care to guess? – Nazi Germany. He has also lamented the existence of media depictions of Muslims that don’t portray them as terrorists and part of a stealth jihad agenda. Since a ccuracy is a sin when it fails to serve his agenda. Diagnosis: As morally and intellectually bankrupt as a human being can become. He nevertheless carries some influence, and must be considered dangerous.